Well, here we are. New Year's Eve. 2015 is almost over and 2016 nearly begun. 2015 has in many ways been the best and worst year of my life. The best in that I learnt and achieved so much. But also the worst in that I learnt so much. Although ignorance is most definitely not bliss, sometimes learning can be painful, especially when it involves learning about sides of people you never thought existed and learning that you perhaps don't know yourself as well as you may have originally thought. Paradoxically, that's also the joy of learning. Because once you learn these things, you can move on and forward, to better things. And that's what I hope to do in 2016. 1 // Turning eighteen years old in February - My birthday this year was great. I had the most wonderful day with my favourite people. 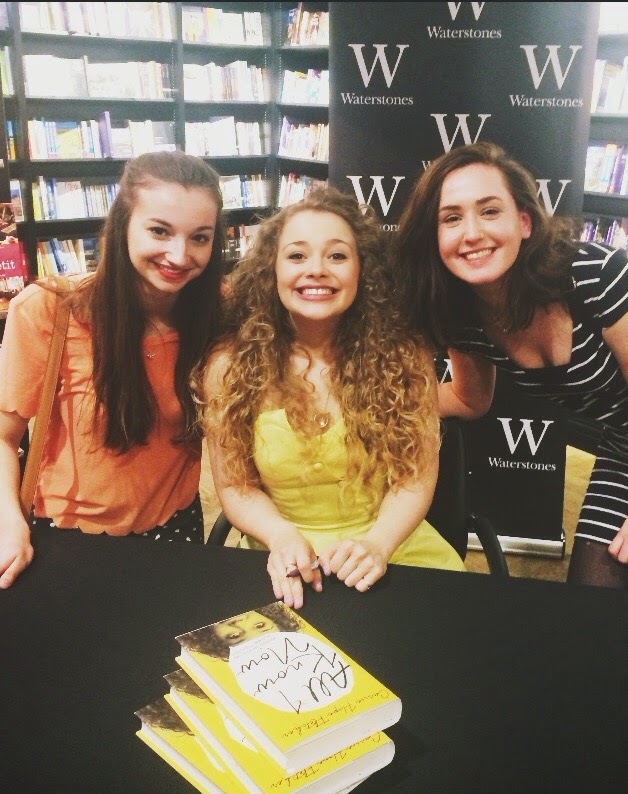 2 // Meeting Carrie Hope Fletcher in May - I love her and she was amazing. 3 // Voting in my first election - Probably didn't make much of a difference but I think it's so important to vote and I'm so glad I got to this year. 4 // Prom - this was the perfect way to end my time at sixth form and a night I'll never forget. 5 // Seeing Taylor Swift's 1989 Tour - Hands down the best concert I've ever been to. The weather was beautiful, I was with my best friend and Taylor Swift was, of course, perfect. 6 // Barcelona with my best friends - who could ask for more? One of the best weeks of my life! 7 // My niece Lucia being born in July - Although she lives in New Zealand so I haven't managed to meet her yet, your sister having a baby is pretty damn exciting. 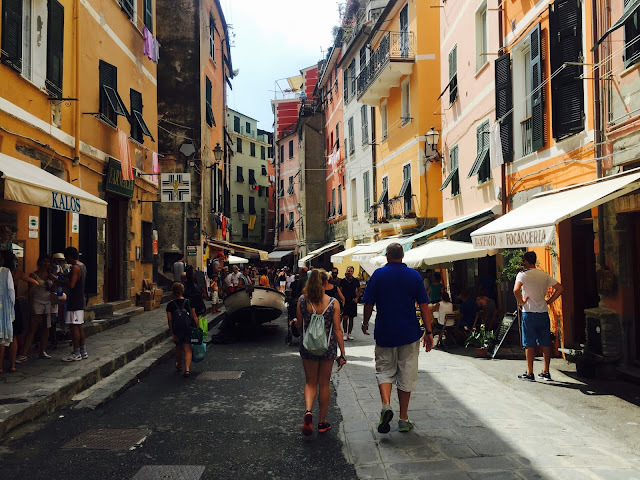 8 // Visiting Genoa with my best friend and Mum - I'd been dying to go to Italy so long and I finally went and it was fabulous. 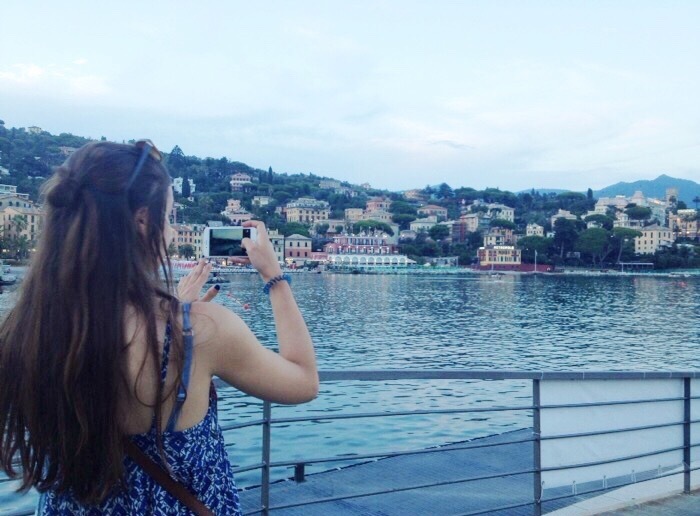 Only problem is I want to go back and see more places and eat more Italian food, nooooow! 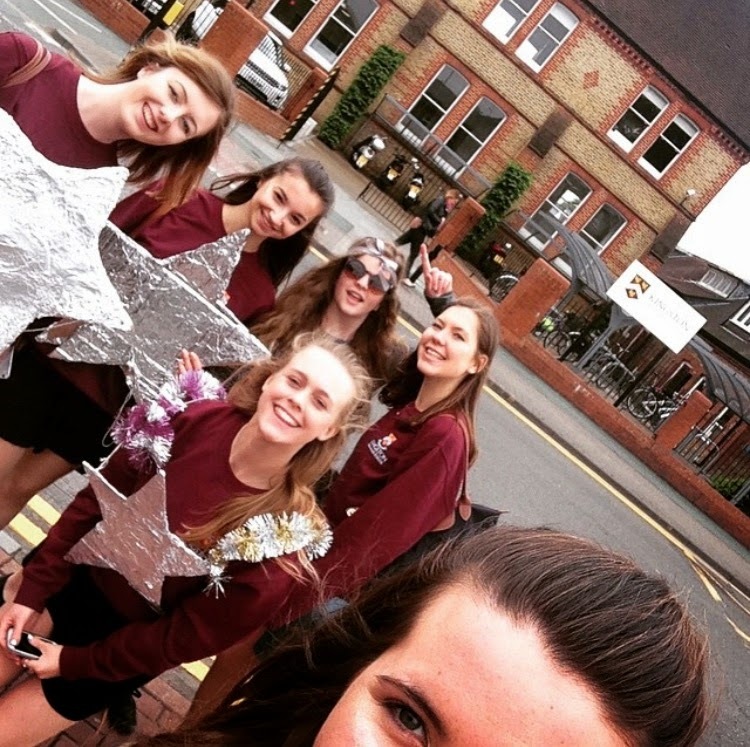 9 // A Level Results - I still can't believed I managed to get A*AA and get into my first choice university. 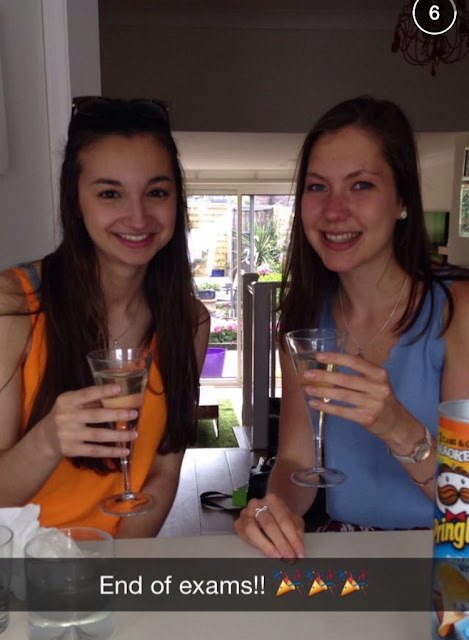 10 // Spending time at my sisters' this summer - it's been so nice to get closer to my older sisters over the past few years and being able to go up and spend time with them (one lives in Yorkshire, one in Liverpool)! 11 // Starting university - I don't think I've ever been so scared in my life as I was driving up to Exeter University but I love it and am really enjoying my course, just can't believe a whole semester has gone already. 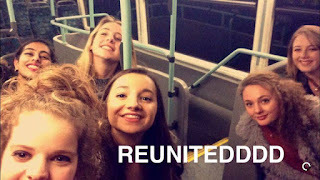 12 // New friends - With uni came new friends and I feel so lucky to have made some really great ones and to get on so well with my flatmates, it makes all the difference. 13 // Visiting friends at their universities - Although I've been having so much fun at Exeter it's been really nice to go see some of my other friends at their unis. A particular highlight was surprising Lish in Bristol (she was visiting her boyfriend, Matt, who goes there), being reunited with my best friend was just the best feeling. 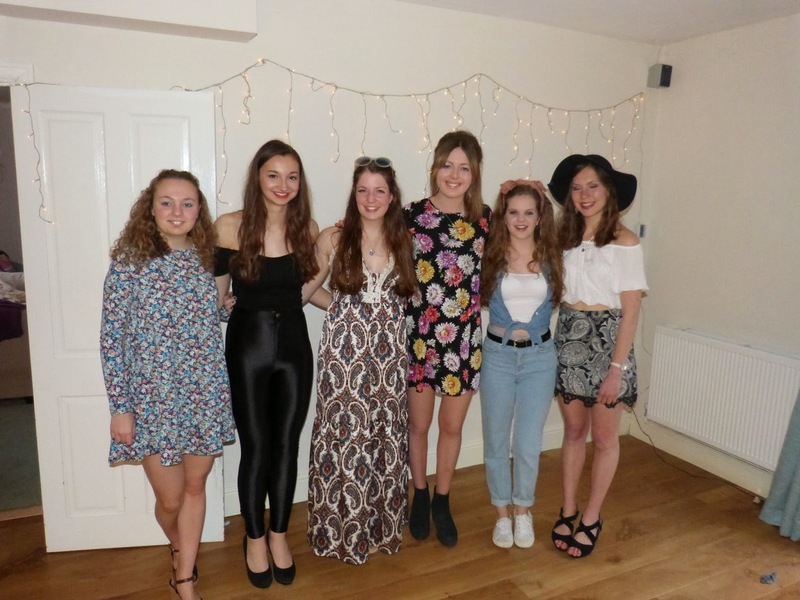 14 // Being reunited with old friends over the Christmas holidays - this has been amazing and I don't want it to end. Please don't make me go back to university and do exams next week! 15 // Christmas Day with my Mum and Gran - As I wrote on Christmas Day itself, I usually spend Christmas at my sister's in Yorkshire with my Dad, niece and nephews so spending Christmas at home this year with just my Mum and Gran was lovely, albeit significantly quieter! And there you have it! I can't get over how much has happened this year and what incredible memories I've made. Although it's been a tough year, these fifteen things have made it so much easier and made me so much happier. Now I can't wait to see what 2016 has in store! I hope 2016 is a joyful year for all of you and that you all have amazing New Year's Eves, I'm spending my evening at a party with my best friends which I can't wait for. Also thank you so much for sticking with me through 2015, I'm hoping 2016 won't be so up and down on the blogging front. And I suppose all that's really left to say is HAPPY NEW YEAR!! 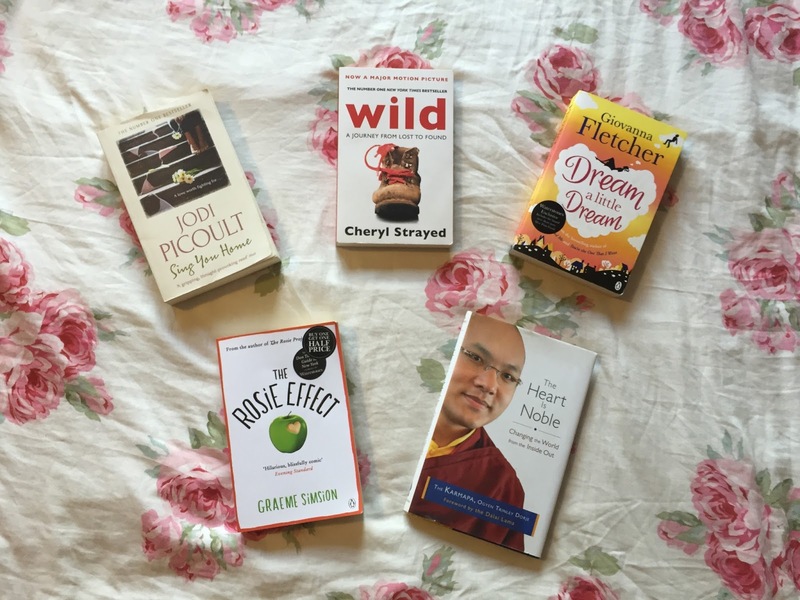 In keeping with the theme of looking back at 2015 this week, I thought I'd share with you what I've read this year. Last year I managed to read 23 books and had hoped that this year I could make it to 24 books - I figured that's only two books a month right... totally manageable... at least until I went to uni and have only read three books since going. I didn't do too badly though and have read some really amazing books this year. So not quite as many books as I'd hoped in the end but overall it's been a great year in terms of what I've read. It's funny looking back at all the ratings I've given to these books to notice how highly on average I've rated the books I've read this year! I don't think that's because I'm not a critical reader, just that I take book recommendations from people who I really trust and so, most of the time, I pick up books that are right up my street. 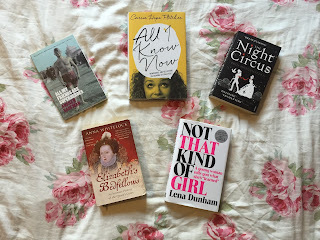 I have branched out a little this year though and strayed into the genre of non-fiction, being happily surprised with how much I enjoyed reading about Elizabeth I. If you're interested in the Tudors at all, be sure to have a look at Elizabeth's Bedfellows. The best books two books I've read this year though have to be Wild Swans and Wild. Strangely enough, both are memoirs and both have 'wild' in their titles! But that coincidence aside, they are, in their own rights, both incredible books that tell stories truly worth reading so please pick them up if you have a chance. 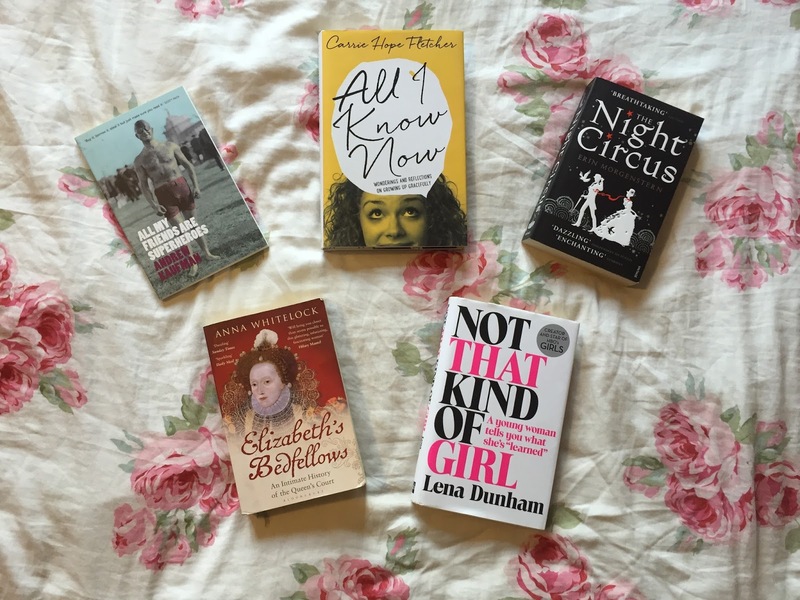 Anyway, I hope you've enjoyed this little round up of what I read this year. I'll be back tomorrow with my highlights from this year. Can you believe we're into the last three days of 2015?! I honestly can't get over how quickly this year has gone. And I know I say that *every* year but they seem to be going faster and faster with no sign of slowing down. As always, the thought of a new year has me thinking about the year that's just (nearly) gone and so I thought it might be nice to do a little round up in three installments of what 2015 held for me before 2016 hits us. 1 // The Theory of Everything - I was absolutely blown away by this film, so much so that I wrote a post specifically dedicated to it, which you can read here should you be interested! 2 // Quartet - From what I remember of this film it was a bit of a let down which was a shame but still light-hearted and fun. 3 // Pocahontas - You'll start to see a bit of a theme of Disney movies I watched this year that I really should have seen years ago but never did for some reason or another. I liked Pocahontas a lot actually, although it doesn't compare to the Little Mermaid which was my favourite Disney movie as a child! 4 // Pitch Perfect 2 - I adored this! 5 // Hercules - Another Disney movie I'd somehow missed! 6 // Clueless - Yep, seriously. I'd not seen Clueless before 2015. Shocking, I know. 7 // The Back Up Plan - This was such a great romcom. 8 // Spy - This was *hilarious*. 9 // The Breakfast Club - I absolutely loved this film and am so glad I finally watched it this summer. 10 // Inside Out - Everyone needs to see this film, no matter what age you are just go and watch it if you get the chance; such a great film. 11 // The Bounty Hunter - Another good romcom movie. 12 // Chocolat - Watched this with my sister because she couldn't believe I hadn't seen it, I'd read the book a few years ago and actually thought the film lived up to it. 13 // Four Weddings & A Funeral - Again watched with my sister, again because it was an abomination that I hadn't seen it! I was a bit underwhelmed by this though, Hugh Grant films are usually my weakness but for some reason I just didn't get this one. 14 // Paper Towns - I love John Green, I loved the Paper Towns book and I loved this film. Highly recommend. 15 // What If? - Better than any other romcom I watched this year, in fact I'd say it's one of my favourite films that I saw in 2015. Go watch for sure! 16 // Suffragette - This and The Theory of Everything were hands down the best films I saw this year. The acting in Suffragette was impeccable and the story so so important. Please watch this if you haven't already. 17 // Mockingjay Part 1 - I needed to see this before part 2 came out in the cinema and it didn't let me down. The films are nothing compared to the books but I do think that they've got better and better. 18 // Mockingjay Part 2 - Again, not the same as reading the books for the first time when I was fourteen but I love Jennifer Lawrence and it was great to see The Hunger Games played out on screen. 19 // Love, Rosie - Another great romcom, (I'm not even ashamed of how much I love romcoms) this one left me sobbing and I'm not quite sure why. It's on Netflix... you've got no excuse not to watch it! 20 // Cool Runnings - Yet another Disney film I hadn't seen. Watched this the other weekend with my niece and nephews, it's very funny and great for kids. 21 // Pinocchio - Read the above. Don't know how I hadn't seen this! But I watched it on Boxing Day with my Mum and really enjoyed it. It's actually been so fun to write down the movies I've watched this year and then look back at them now, I think I'm definitely going to do it again next year. Let me know if you've seen any of these and what you thought if you have, I'll be back on Wednesday to look back on what I read in 2015! Just a quick one from me today to wish you all a very Merry Christmas, whatever you're doing and whoever you're with! I hope you have a lovely day and that it's spent relaxing, eating too much food and watching films - that's definitely what I'm planning on doing. If you've read my blog for a long time you'll know that I usually drive up to my sister's in Yorkshire for Christmas day with my Dad so we spend it with my sister, brother-in-law, niece and nephews. But this year my Dad's actually in New Zealand with my other sister and nieces so I'll be spending Christmas at home with my Mum and Gran for the first time in years. While it's a shame I won't be around the excitement of my niece and nephews, I think it's going to be really nice to have a more relaxed Christmas at home. Plus it's an excuse to spend the whole day in my new matching pyjamas (new pjs are one of the best Christmas presents, don't you think?). Over the past few months I've become completely addicted to Lily Pebbles' and ViviannaDoesMakeup's youtube channels. Aside from this leading me to spend a lot more money than I usually would on make up, it's got me back into painting my nails and actually making a bit of an effort with them. Both Lily and Anna rave about essie nail polishes and, having bought a couple over the past few months, I can totally see why - the brushes are fab and the quality of the nail polish is amazing - a win-win situation in my eyes! 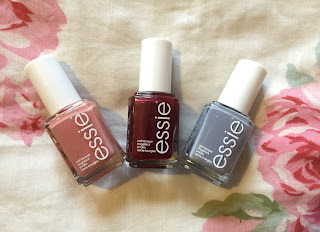 Anyway, since I've been trying these out a lot over the past few months, I thought I'd share my favourite three essie nail polishes that I think are perfect for winter. And if, like me, you still haven't ticked off all of your Christmas shopping (that's what the last few days before Chrismas are for, right?? ), then I think an essie nail polish would make a great stocking filler. 1 // Eternal Optimist - This beautiful rose-coloured nail polish is ideal for when you just want a colour on your nails but you're not feeling too bold. I love it during autumn and winter because it's nice and muted and the colour is lovely. 2 // Thigh High - Thigh High was my secret santa present from my friend Ellie, we only met at uni three months ago but she already knew I'd love this as a present, a sign of true friendship for sure! This colour is the most Christmassy and I'm wearing it right now. The deep red is stunning and the fact that it's slightly shimmery means it's a really festive nail polish! 3 // Cocktail Bling - Lily Pebbles brought my attention to this polish. It's another lovely muted colour that's grey with light blue tones - elegant and perfect for winter days. I'm sure that anyone would love to add this to their nail polish collection. And there you have it! What are your favourite essie nail polishes? Let me know in the comments if I'm missing out on any essentials! I know I'm ridiculously late to this party but I've recently discovered James Bay and, oh my goodness, I am completely in love with his music. When I've managed to turn off Michael Buble's Christmas album for two minutes Chaos and the Calm is the album I've turned straight to. James Bay's voice and lyrics are just stunning and Craving is one of my absolute favourites, I can't stop listening to it lately. Reading :: For Esme - with Love and Squalor by J. D. Salinger. When you have a Mum who wrote her university dissertation on Salinger's works, you can bet I've been gifted a copy of each of his books over the years! Of course I've read The Catcher in the Rye and loved it but have somehow managed to avoid reading any of Salinger's other books, so really it was high time I picked something else of his up. Since I've been at uni I've been reading so much for philosophy and history that reading fiction has sadly had to take a bit of a back seat so I've really struggled to read much over the past few months. This has meant that 'For Esme' is perfect because it's a collection of Salinger's short stories - making it a bit easier to dip in and out of when I have time to read. I'm usually not the biggest fan of short stories but I'm actually really enjoying this so far. Salinger writes beautifully so I'd recommend it to anyone who's interested at all, even if you don't usually enjoy short stories. Eating :: Mince pies of course! Before I got back from Exeter last Friday I had only had one mince pie - being eleven days into December having only eaten *one* mince pie is just unheard of for me, but hey, student living I suppose! Anyway, to make up for this shambles I've been making my way through more than my fair share of mince pies. Mince pies and mulled wine are just perfect at this time of year. Thinking about :: How much everything has changed in the past year. I guess I always knew that 2015 would hold a lot of change, what with A Levels and leaving home for the first time to go to uni. Still, looking back to the start of this year, it feels as though things couldn't have been more different. Meeting a lot of new people has taught me so much about myself. And oddly, although I've really enjoyed my first term of uni, I've had a bit of a knock on the self-confidence front over the past few weeks which I didn't really see coming. But that's something to leave for another day. Watching :: Still Once Upon A Time, obviously (isn't the new series so addictive?! ), but mainly Strictly Come Dancing. Possibly a surprising addiction but I just love SCD. I've been watching it with my Mum and Gran since I can remember and it really gets me in the festive mood as I've come to associate it with the run up to Christmas. I can't believe it's the final on Saturday and can't wait to watch it with my family! Loving :: Being back at home and knowing that I'm going to be reunited with my best friends on Saturday! I really miss my uni friends but it's so lovely to be back home in my own bed and have proper homemade meals. I missed my Mum and Gran so much and the same goes for my best friends. 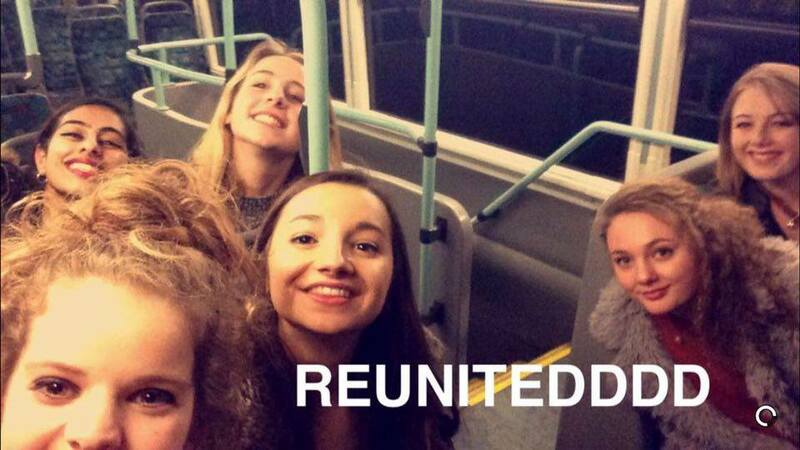 It will be so nice to catch up with everyone and hear how uni's been going for them. I always get nostalgic at this time of year so to be around my best friends and family will stop me from feeling down in the dumps, which I was starting to a little by the end of this term. I hope you're all getting in the festive mood, I definitely am - in fact, I'm going to go and paint my nails a nice Christmassy red right now and get out Michael Buble's Christmas album! I can't believe that it's been over four months since I last posted here. It almost feels odd sitting down to type. But here I am. Here being back in London for the Christmas holidays, having finished my first term at Exeter University. 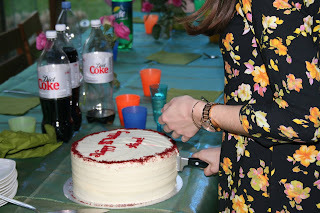 I took a brief break from blogging in the first couple of months of the academic year last September as well, that time of year is just so busy and, as I'm sure you can imagine, starting university was such a crazy time. My explanation for being away is really simply that I've been living my life without writing about it. I've met so many new people, learnt so many new things and had such little sleep in the past few months that I haven't had a proper chance to sit down and write about it! And more than anything I think that in some ways I haven't wanted to because I've been enjoying just living without reflecting, if that makes any sense. But now that I finally have some time I'm back and I really want to write more. It's truly felt like there's been something missing because I haven't been writing here. I can't get over the fact that it's Christmas in just NINE DAYS, it honestly feels like I left for uni yesterday and suddenly it's about to be 2016?! There's so much to catch up on but, for now, I just wanted to say that I'm here, I haven't given up on TGITM and thank you for bearing with me. Reading :: Wild by Cheryl Strayed. I'm only 100 or so pages in but wow, is this book great. The advert for the film of this book starring Reese Witherspoon drew my attention to Strayed's story and I finally got around to picking it up a couple of months ago. I'm sure most of you have heard about this book by now, so I'll just say that with every page I read I am more and more in awe of Strayed and her strength. By the sounds of things, at the time she was carrying out the Pacific Crest Trail she had no idea of how amazing she was. Quite frankly reading this book is making me want to do some sort of hike solo myself - alas I don't think I'll ever be strong enough to do that. Nonetheless, Wild is a truly wonderful read and I can't recommend it enough. Eating :: ALL THE ITALIAN FOOD. I got back from Italy on Monday admittedly so I'm not eating Italian food right now (post on the holiday hopefully coming in the next few days!). But surely it would be wrong to leave out all the pizza and pasta and gelato if I'm going to write about what I've been eating. Having never been to Italy before, I couldn't wait to taste the food, and it definitely lived up to my expectations! I'm still daydreaming about a giant ham and mushroom pizza I ate last weekend by the beach; it was heaven on a plate! Thinking about :: How disconcerting it can be when you think you know someone and then they turn out to be so different from what you once believed them to be. It's safe to say I've felt a bit disappointed over the past couple of days and it's made me reevaluate who I really want to spend my time with. I suppose in many ways it's a good thing and serves to remind me how lucky I am to have some really wonderful friends. Nonetheless, I don't think I'll ever get over the initial shock and pain of someone surprising you like this. Watching :: Once Upon A Time. I'm not sure if I've mentioned it before but I am absolutely addicted to this show. I started watching it a couple of months ago and I can't stop. 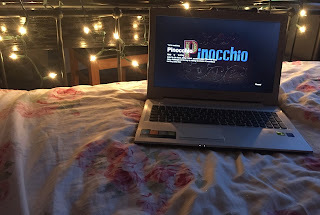 My friend Lish has been watching it along with me, so I've slowed down recently to let her catch up so that we can watch the second half of series four together. I never knew fairytale characters being brought to our world could make for such good viewing, or that they could teach some really important lessons. Loving :: Being in the middle of the summer holiday. It really is so lovely to have time to relax and see friends, without having any work to hand in or think about for what feels like the first time in forever! I'm trying to make sure I enjoy every minute of it so that it's not wasted. I hadn't listened to James Morrison for such a long time when I heard this song the other day. And now I've fallen right back in love with his beautiful words. One Life is a song that I can listen to again and again and again. Isn't this grey and rainy weather horrid? On Sunday my friend Lucy and I went to visit Highclere Castle (aka the Downton Abbey castle) and the weather was absolutely beautiful - a stark contrast to how it is today. This kind of weather always seems to make me sleepy and irritable, so it's lucky I'm off to Italy tomorrow for a few days, and here's hoping the sun will put his hat back on in the UK very soon too! Lucy was the one who got me watching and loving Downton Abbey a few years ago, before which I'd dismissed it as a show for grannies and the like! But as soon as Luce sat me down and made me watch it I was hooked. It's such a great show and so very English with a few scandalous storylines thrown in for good measure - what's not to love?! So, knowing how much Lucy loves Downton, my friends and I bought her two summer tickets to visit Highclere Castle (where lots of it is filmed) for her birthday in December. Having felt like months since we got the tickets, we couldn't entirely believe that we were actually going this past weekend! The castle really is as stunning as it looks on tv in real life. Once we'd made our way into the grounds we sat ourselves down on the grass and began to make our way through the most perfect picnic I've ever had. It featured ham and cheese rolls, crisps, strawberries, fresh lemonade, triple chocolate mousses; it was all so delicious! Life really doesn't get much better than sitting on the grass in the sun with such stunning views and my best friend. Once we'd decided we couldn't possibly eat anymore (for the time being! ), we made our way into the castle itself and had a look round. Sadly you aren't allowed to take any photos inside the castle, but it was so fun to explore and see where so many iconic Downton scenes are filmed. Having seen every inch on show of the inside of the castle, we had a look around the gift shop before returning to the lovely castle gardens to resume eating more of our picnic and chatting about everything. It's funny to think how long me and Luce have known each other now and I'm so grateful to have her in my life. I know I say this a lot but I really am so lucky to have friends like this, ones you can tell anything to, who are always there to laugh with you and listen when you need them. Moving house two years ago has really shown me what a strong friendship is; one where, no matter that you don't see each other every day, when you do see each other you just pick up where you left off, straight into giggles and catching up about everything. Sunday was a really wonderful day out and I'd recommend visiting Highclere Castle to any Downton Abbey fans. Although I would suggest not going on a Sunday as we did if you're not driving because the only way to get up to the castle from the station on Sundays is by taxi which are extortionately priced! The best way I can sum up these girls is as my soul sisters. These girls make me laugh until I cry, put up with me no matter what, show me what it's all really about. We had a sleepover last night and three of us found ourselves talking for an hour and a half about everything. It was the kind of conversation where you learn things about not only the others, but about yourself too. Things that you never noticed before. The kind that reminds you that people are people. That we're all learning, and growing, and becoming. I was listening to a Hank Green and Emma Blackery podcast earlier in which Emma talked about the importance of our regrets in that they are what make it clear that we've grown. She talked about the importance of being a better person every single day. And that really resonated with me, especially after the conversation with my friends last night. So now I want to put it into practice; to better myself in all parts of my life. I've been a bit all over the place over the past few weeks. Not unhappy per se, yet not entirely myself either. But reminiscing with these girls about how far we've all come and looking to who we're becoming and what it really means to grow was the wake up call I'd been waiting for. One that brought me back here to write, and to reflect, and to grow. 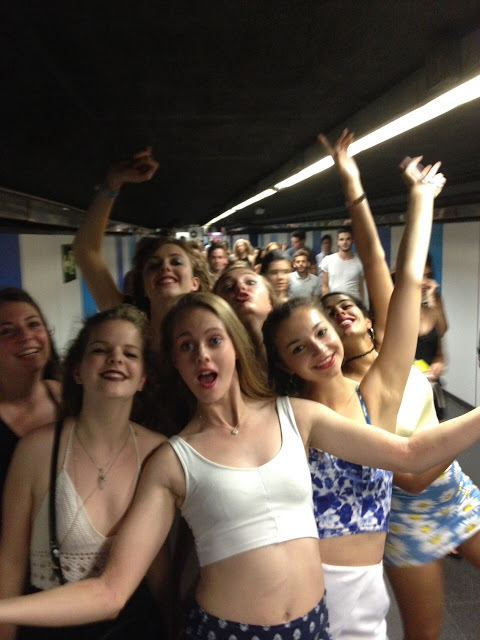 * Photo taken on the Barcelona Metro last week. Life has got super crazy over the past couple of weeks. 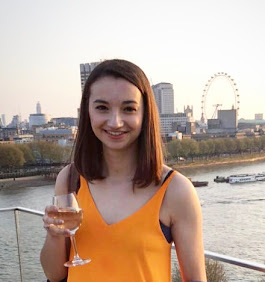 Please bear with me in the next couple of months - what with A Level exams, mocks before that, and having barely any time to just sit down and relax or go out with my friends, there has simply been no time for blogging. And while that makes me very sad I know that it's what has to give in the next few months, just as it has done every year. It will be positively joyful when I don't have exams so will be able to actually blog in the months April-June! I just thought while I've got a spare moment it would be nice to catch up, so here I am. Since I was here last I've been to Exeter with Mum and finally made the decision that Exeter University is really where my heart is, despite it not being anywhere near as close as York to my sister. I've firmed it, put York as my insurance, applied for student finance and accommodation. All these 'big life moments' are panicking me a little, but at least I'm not shying away from them! 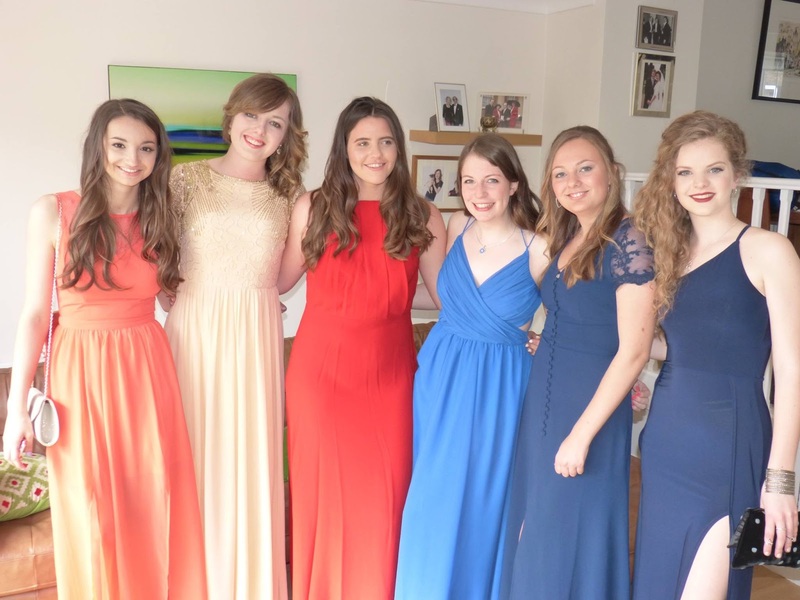 A couple of weeks ago now we celebrated my friend Josie's 18th birthday. 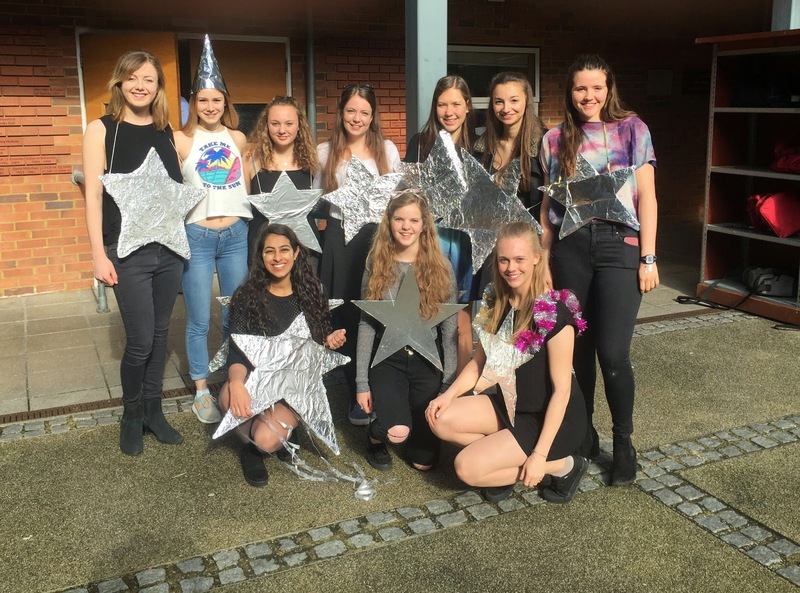 Josie is going to Honduras next year to teach primary school children English with Project Trust and we managed to raise £400 for it as a birthday present for her. I'm most proud that we managed to keep it a surprise, her reaction when we told her was such a lovely thing to see. The justgiving page is still open for a few more days so I'll link it here if anyone would be kind enough to donate - it's for a really good cause, I know Josie will be amazing out there as much as I'll miss her. After all getting a little emotional over Josie's present and the fact that we won't see her for a whole year, we proceeded to go out for cocktails and lots of laughter followed, as you can see in the photo below. The weather seems not to have been as good this past week (boo!) but when it was lovely I really did make the most of it (yay! ), and this time went on a little picnic by the river with my best girlies. It was such a pretty evening and we had our first Pimms of the year; definitely something to be celebrated. 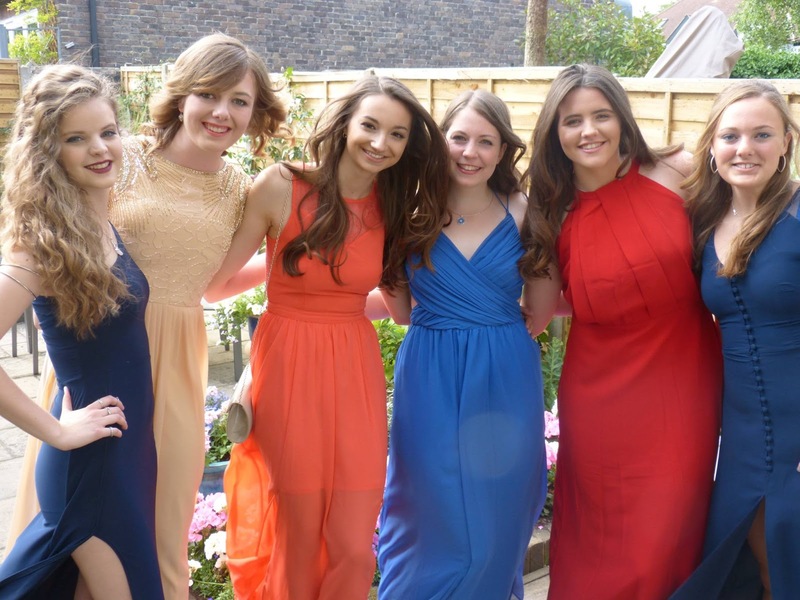 This week just gone on Wednesday evening I went to the philosophy dinner (my sixth form has subject dinners towards the end of the academic year for A Level students). I had such a great time; I tried babaganoush for the first time which was absolutely divine, we played a mixed form of philosophy charades/taboo which got a little competitive and hilarious, and talked about all our plans for next year. It really made me feel so lucky to have had such fab teachers over the past few years who will truly go to every effort to make sure that you have what you need, we need many more such people in the world for sure! Isn't this weather just glorious?! I've been loving every opportunity I've had to spend time outside in the sunshine over the past few days. Time spent catching up with friends and my Mum have definitely been what the doctor ordered after spending the majority of the week indoors revising and looking longingly out the window at the beautiful weather. On Thursday (which I know technically isn't the weekend but definitely deserves a mention on this occasion!) I met up with some lovely girls for dinner at Gourmet Burger Kitchen. I decided to go all out and have the avocado burger with bacon and chunky chips as well as an oreo milkshake, after all I had spent the day working hard! All three were incredible and the girl chat was very much needed after I'd been feeling a bit isolated in the earlier part of the week. It really is amazing how talks with these girls never fail to lift my spirit right up. On Friday morning Mum and I woke up bright and early and hopped on the tube to King's Cross to get the train to York for a university tour and to explore the town. This was in the hope of helping me make a decision about which university to go to which is something I'm really struggling with at the moment but also something that I want to decide on as soon as possible really. The struggles of adult decision-making are definitely being felt at this end, I can tell you. 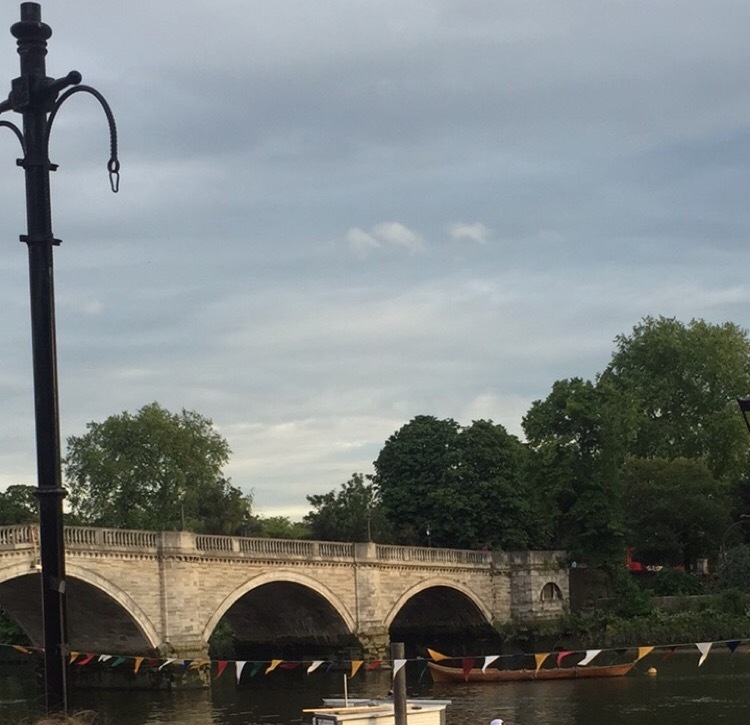 It was really great to see the town centre which I hadn't had time to do on my previous two trips, I never knew how lovely York city centre is. We stopped off for lunch at Bill's and I had the veggie halloumi and hommus burger which was absolutely divine. (Yes, I did have two burgers in two days - and I'm not even sorry!) York definitely won my heart on Friday, we'll just have to see whether Exeter recaptures it, having not seen it for such a long time, when we head down next Friday. Here's hoping I'll make a decision soon. In the evening I went round to Lydia's house with the girls. We had a wonderful girlie night, including pizza, cake, Ben & Jerry's eaten out of the tub and many, many games. Although I was exhausted from walking around all day and having an early start, it was great to laugh, chat, and sing with these lovelies... as it always is when we're together. Saturday was spent revising all day so let's just skip straight over that... today I met Harry in central London and what followed really was the perfect Sunday. We met at Victoria, popped into M&S to pick up bits and bobs for a picnic, hopped on the tube and set up camp in Green Park under a tree. It was even warm enough for bare legs - I'm desperate to get a tan and so any opportunity in which I can I *will* get my legs out (or that's the mantra I'm trying to stick to)! The picnic was delicious and just spending time in the sun with Harry was so nice. 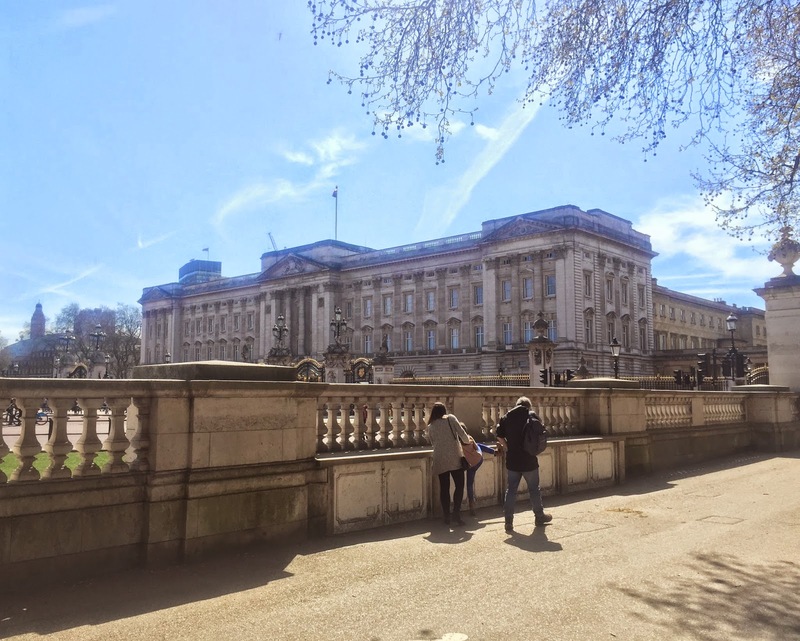 When we could finally bear to move we headed to Buckingham palace for a quick look, followed by a trip to the V&A museum. I'd shamefully never been there before so we decided since it's free admission and I've heard such good things about it, it would be wrong not to make a trip there really. If you're able to, I would wholeheartedly recommend paying a visit to the V&A; there's so much to see and some of the paintings/artefacts are simply stunning. We did find that walking around a museum for a couple of hours is pretty tiring, however, and so walked straight from the V&A to the Hummingbird Bakery for a lemon and blueberry cup cake with a cup of tea - my idea of heaven. All in all it's been a great few days which have really lifted my mood from being cooped up inside working. It just goes to show how important it is to make time to get out and relax with ones who make you happy. What about you? What have you got up to this weekend?